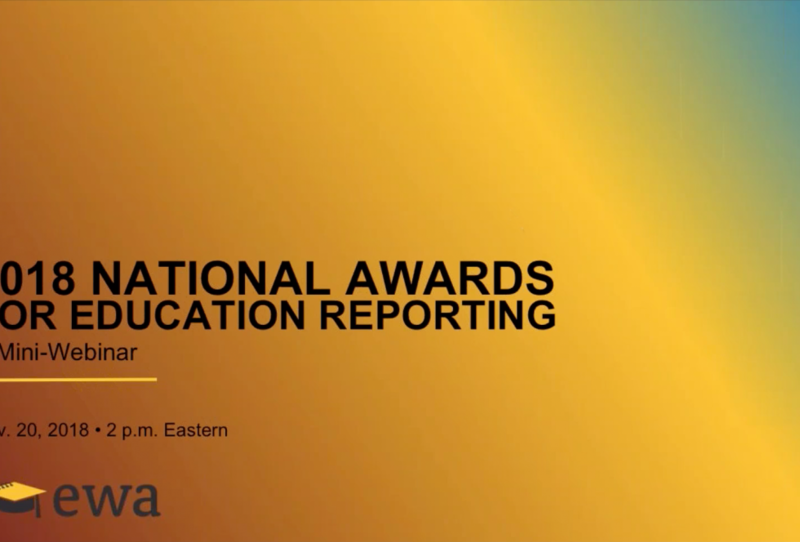 Education Writers Association Assistant Director Kim Clark leads this 30-minute webinar to give journalists a first-hand look at changes to the National Awards for Education Reporting, including new categories, rules, and a new online application platform. The deadline to enter the 2018 EWA Awards contest was Dec. 15, 2018. Finalists will be notified of their status in Spring 2019, and winners will be announced at EWA’s 2019 National Seminar.